With the recent unpleasant winter weather, it has been difficult to explore any new areas in the Hudson Valley so instead I will think warm thoughts and talk about enjoying the Wallkill Valley Rail Trail on a sunny, warm day. Formerly an old railroad track, The Wallkill Valley Rail Trail is now a 12.2 mile trail located in Ulster County, NY that goes from Gardiner to the end of New Paltz. It is one of those places that no matter how many times you visit, you always find yourself discovering something new. The trail conveniently has many parking lots and can be accessed from several convenient locations. 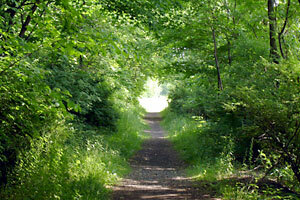 It is enjoyed by bikers, walkers, sightseers, and nature lovers to name a few. If you are looking for an activity on a hot summer day, the trail is shaded beneath a blanket of trees providing a cooler option for enjoying the outdoors. 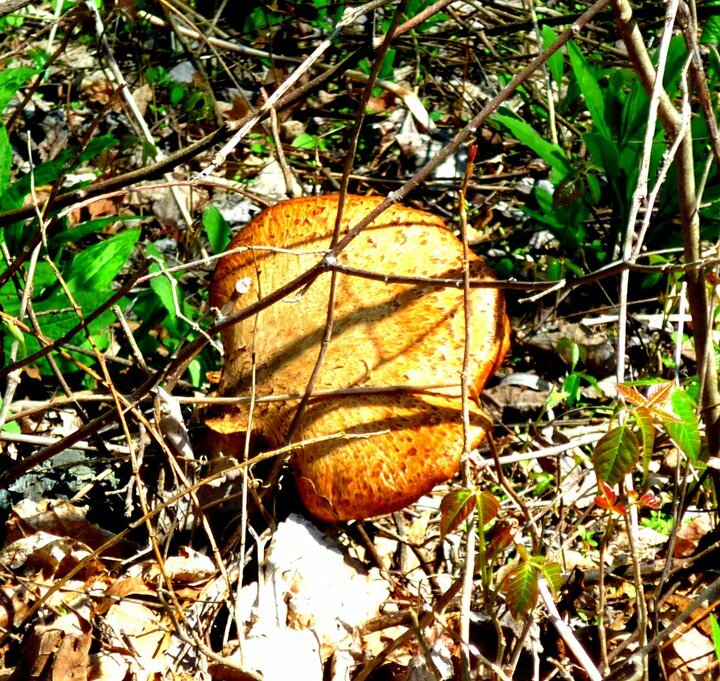 Below are images from one of my hikes along the trail in the New Paltz section of it. 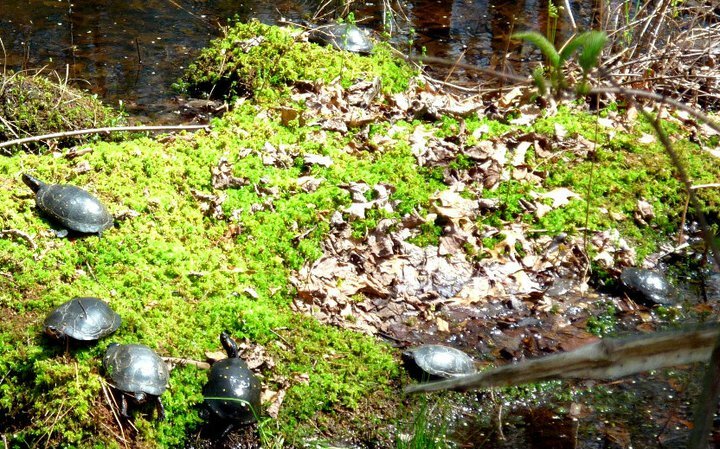 One of my favorite discoveries on the trail; this group of turtles relax along the moss and water. 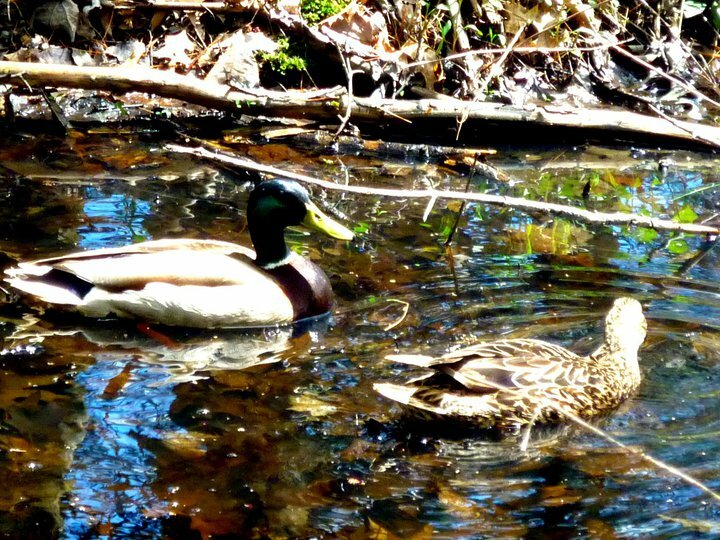 The ducks enjoying the stream alongside the trail add to the serene rail trail experience. 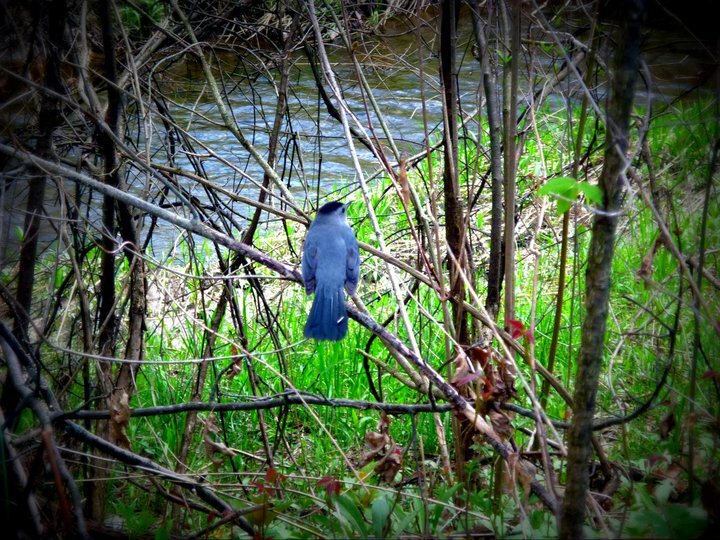 Birdwatchers can enjoy the many beautiful birds that frequent the area. 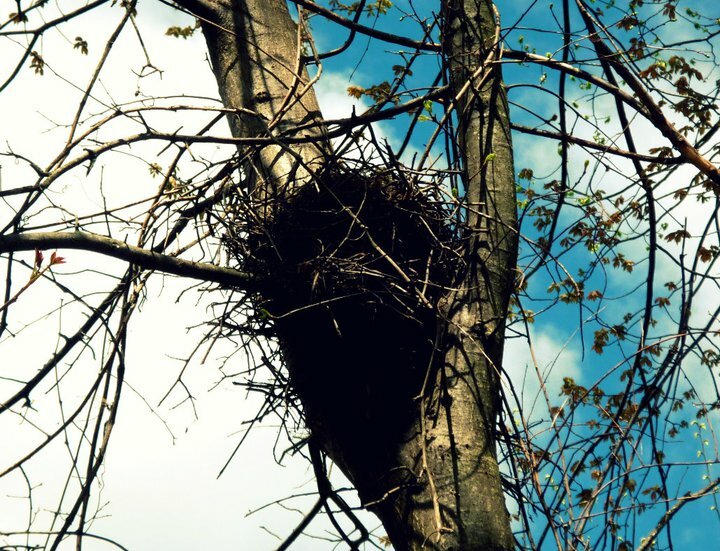 The beautiful blue sky peaks behind the trees where one of the birds has built a home. Whether you gaze up or down while hiking, there is always something interesting to be seen. Here, an over-sized mushroom is growing alongside the trail. For more information about the Wallkill Valley Rail Trail, check out the maps below, as well as the site where the maps came from: http://www.gorailtrail.org.